WW2 Imperial Japanese Army Leather Flight Helmet – Summer Version #2 Ki-43 etc. 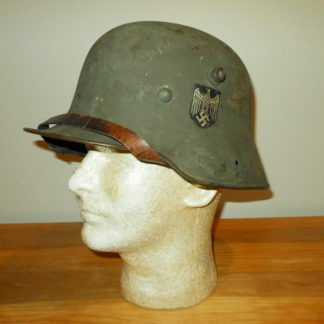 WW2 German Wehrmacht Heer Officer Visor Cockade & Wreath – VERY NICE! 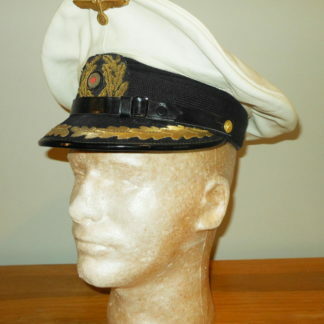 WW2 German Kreigsmarine Navy Officer Visor Cockade & Wreath – VERY NICE! WW2 Imperial Japanese Army Leather Flight Helmet – Summer Version – NICE! 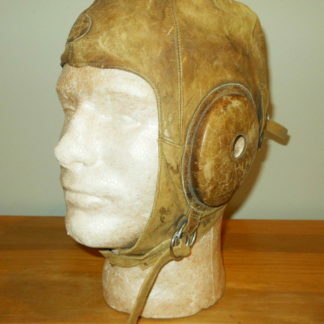 WW2 Imperial Japanese Army HIGH ALTITUDE Leather Flight Helmet – NICE! WW1 / WW2 Austro Hungarian Mountain M1909 Alpine Cap Gebirgsjager – VERY NICE! WW2 Imperial Japanese Army Leather Flight Helmet – Summer Version – NOS!